Eight teenagers have been arrested by police investigating a series of recent incidents in Crowborough and Uckfield. The eight, ranging in age from 13 to 16 and from Uckfield and Crowborough, were arrested on Thursday and Friday (August 30/31). A 14-year-old boy from Crowborough and four boys from Uckfield, one aged 14 and three aged 15, were all arrested on suspicion of a racially or religiously aggravated offence at a cafe in Uckfield on August 25. 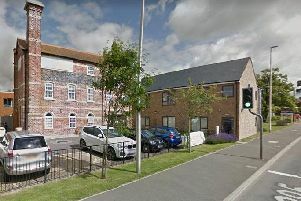 The 14-year-old was further arrested on suspicion of possession of cannabis and burglary other than dwelling in connection with an incident at a convenience store in Farningham Road, Crowborough on August 24. Inspector Jon Gross of the Wealden Prevention team said: “We are taking action to respond effectively to tackling crime, and the fear of crime, wherever it manifests itself in our communities. I understand the strength of feeling that can arise on the occasions when we cannot prevent, or respond immediately to some incidents, and more generally of the desire to see a visible police presence at all times. “While I recognise the desire of our communities to return to ward based officers and PCSOs, we are committed to addressing crime and disorder within our current structure. It is one that enables us to flex resources where significant issues and concerns arise. Prior to the recent spate of incidents generated by a few individuals, there has been a noticeable reduction in crime and anti-social behaviour across Wealden. This is, in some way, a vindication of the policing model.